Human is a dynamic creation still in progress, being completed through a Transformation of Consciousness. Our transformation happens over a lifetime, and from one generation to the next. We can see it happen in a newborn, and we can see transformation over the generations… each one sharing their wisdom with the next. Our challenge lies in seeing it in the moment. Only when we reach our Potential Consciousness will we realize how special we are. Tone 5 is the day of empowerment. Jaguar/IX demonstrates the Power that will fuel a new wave of Spiritual Growth. Jaguar/IX is known as a nahual of Earth Magic. The Jaguar’s magic is born of a deep love and appreciation for Mother Earth. IX is the Divine Feminine, and seen as the God/Goddess of Gratefulness. Jaguar can help us discover the Magic Humans hold to Manifest an Intention Powered by Love. This leg of our journey with the Jaguar is a path we follow alone. To know the Magic of Jaguar, we are guided to have a solitary experience with Mother Earth. Jaguars live their lives alone and low to Mother Earth. Seeing Her up close, Jaguar recognizes Earth as the Source of Every Blessing. Jaguars have a keen Sense of everything around them, said to be the reason they are seldom seen. As the Divine Feminine, IX knows the Compassionate Love of a Mother and Senses Her Beating Heart. Jaguar can lead us on a mystical journey as the way shower and shape-shifter capable to travel to any place in time. The Jaguar offers energy we can call upon for help in Spiritual and Material ways. IX demonstrates the Supernatural Power of Love. The Earth was the Creator’s gift capable to teach us everything we need to know. There is something to Love in every direction. As the Dog/OC trecena leads our Quest, we are called to experience the Magic of Love for our Self on a Spiritual Journey with the Jaguar. The trecena of Earth/CABAN raised our Consciousness to the Truth that the Earth is a larger reflection of who we are. The Creator put an Illustration of Life all around us, so we can see how things work. All the magical forces that operate on the Earth’s physical plane, are illustrations of the Spiritual Magic we hold within. We are the Seed of the Creator, the Corn People of the Maya. Jaguar/IX is the Day Sign of Spirit. We are drawn to experience the empowerment of Pure Love. Jaguar shares a deeper understanding of Earth’s Magic, so we might realize we live in a place of unexpected Miracles, Wonders, and Power. To all my relations, today the Earth has something to show us. Jaguar calls us to get down close for a one-to-one with Mother Earth. We can operate in stealth, peering into the details that are always there hidden from view. May we recognize the Magic in the buds of Spring that become the blossoms outside of our natural ability to see it happen. And, may we remember the Magic that happens when a Seed and the Earth are brought together. May we make an effort through our own Consciousness to acknowledge something we haven’t noticed before. We are positioned to receive an Experience that will empower an Intention of Love. May we thank the Creator for the Gift of Mother Earth and acknowledge the beauty of the place we were given as Home. CORNMEAL BLESSING: An Offering of Cornmeal is a worthy and proven way to share a blessing to Mother Earth, and is also traditional as a Sunrise Ceremony. A handful of cornmeal is taken in the fist of the right hand. We ask permission that the Cornmeal be used for a Sacred Intention, and that our Intention is to make an offering in a good way. Turn to the East and give thanks for the Sun that rises there each day, the source of our Life, Light, and Happiness. To the South, give thanks for our Relationships with one another and the Earth. To the West, give thanks for the light that shines in the darkness, as we make the journey of our experience. And to the North, give thanks for the Wisdom of our Grandfathers and Grandmothers, who are always with us. And to our own Center, give thanks for everything we share with the all around. Offer your own prayers and breath into the cornmeal 4 times, and holding gratitude Mother Earth, release the cornmeal into the wind. I was always taught that a Sacred Offering in Spirit is as worthy as the physical experience. This feels True as the Creator offers Divine Justice and an equal opportunity to anyone, no matter their physical capability. We could sit in nature and go on a Spiritual Journey with Jaguar to a Sacred Altar in any place or time and make our offering there. Jaguar/IX: Born with a deep love of the Mother Earth, Jaguar or shaman is directly tied to the source of all Earth magic. They possess great power of intellect and strength of character through integrity. Jaguar energy is feminine in nature and is the ruling spirit of jungles, plains, and mountains. The spirit of Jaguar inhabits the Mayan temples and is called on to assist in spiritual as well as in material ways. Jaguar is also the god/goddess of gratefulness. Patience born of strength and skill can turn to pounce of quick decision and action. Both bold and stealthful, Jaguars do not often attack directly and communications from them usually contain some mystery. In the absence of integrity, Jaguars power corrupts becoming a search for wealth and fame. Totem-Jaguar: Guardian of the portals to other dimensions, shamanic abilities will open. Multi-dimensional magic. Healer, leader, way shower energy when used for spiritual growth. Abuse would be using this power for control or negative purposes. Must find a powerful balance. 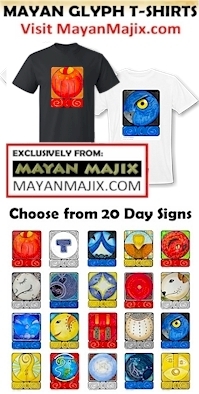 Cherokee, Panther/SAHO’NI: Symbol – comets, meteors, shooting stars, fireballs, magicians. The early-morning Leo constellation Meteors appearing around the middle of November are Heralds of the Coming of the Light, the Cherokee New Year. Shadow of the Sphinx, Herald of the Dawn, guardians of the night when the sun is traveling through the underworld. Shapeshifters, manipulators of manifestations. Unlimited imaginations, visualizations, spellbinding speakers. Is wordpress acting up? I looked early for your post-now it just showed up! Also having trouble reblogging a post-o well. thank you my fellow jaguar! My fault – I finished it at 11pm, then forgot to click the “schedule” button. Sorry for the late post!